JMT was the lead civil/site engineering firm for the revival of streetcar service in Washington, DC. 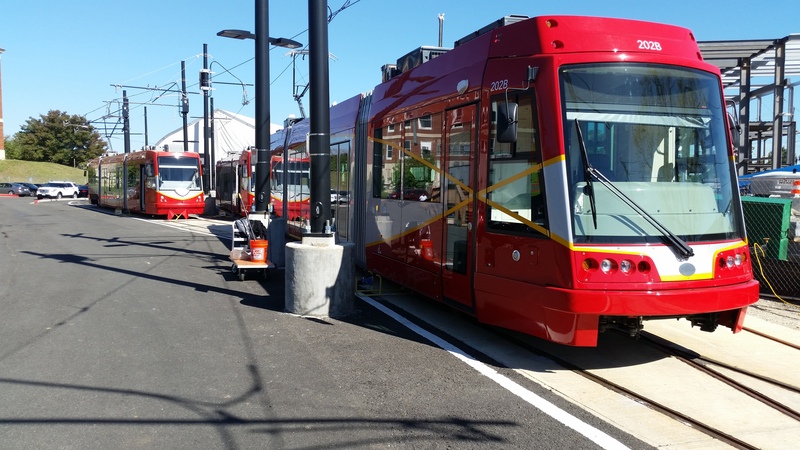 JMT was responsible for all civil and site design for this design-build project for the District Department of Transportation (DDOT). 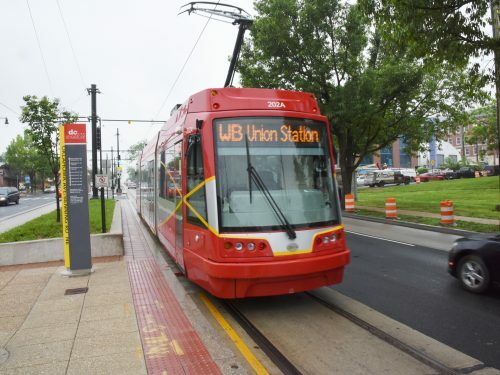 DDOT sought to link neighborhoods, attract and reach new riders, reduce short auto trips and their resulting congestion and pollution, and encourage economic development. We worked with Dean/Facchina as the constructors and SYSTRA as our design partner. 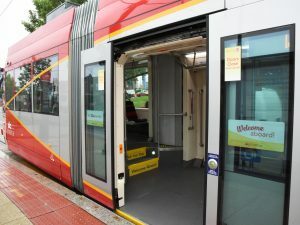 The project – part of the District’s larger Streetcar System plan to bring back a transit mode not seen in Washington since 1962 – involved 2.4 miles of roadway and rail design providing eight streetcar stops from H Street at Union Station to Benning Road, east of Oklahoma Avenue. 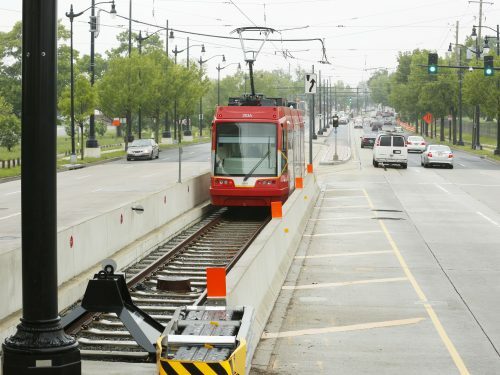 The design presented many challenges typical of an urban infrastructure project. Design services included structural; geotechnical; utility; drainage; stormwater management; erosion and sediment control; maintenance of traffic; signing and pavement marking; lighting; landscape architecture; and mechanical design. ADA compliance was required throughout the project corridor. Sidewalk and pedestrian ramps were designed to meet ADA compatibility along the transit mainline. 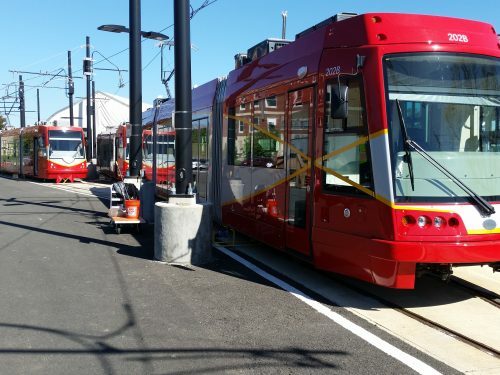 In addition to the engineering and construction of the track and stations, our structural and civil engineers worked with SYSTRA to design a 15,000 SF vehicle maintenance, storage, and learning facility known affectionately as the Car Barn Training Center (CBTC). This building’s structural system consists of a concrete foundation/basement, steel columns, and roof truss girders. 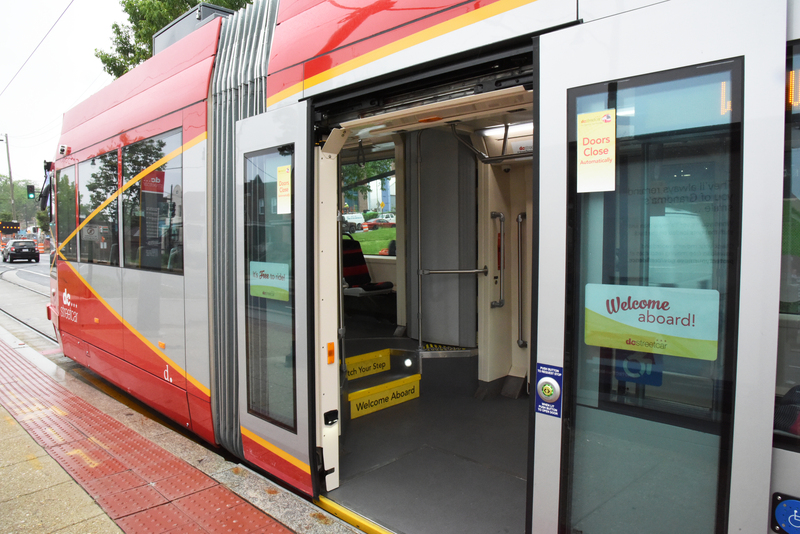 JMT also designed handicap parking, signage, sidewalks, ramps, and handrails to meet ADA compliance for the CBTC. In addition, we designed three traction power substations, exterior concrete retaining walls located in front of the maintenance building, and Pylon steel support bases. 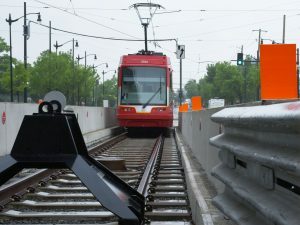 Drainage was closely evaluated within the track system. JMT designed special track drains and switch drains to avoid ponding on the tracks. In several areas, JMT was required to develop detailed fine grading designs to achieve positive drainage. 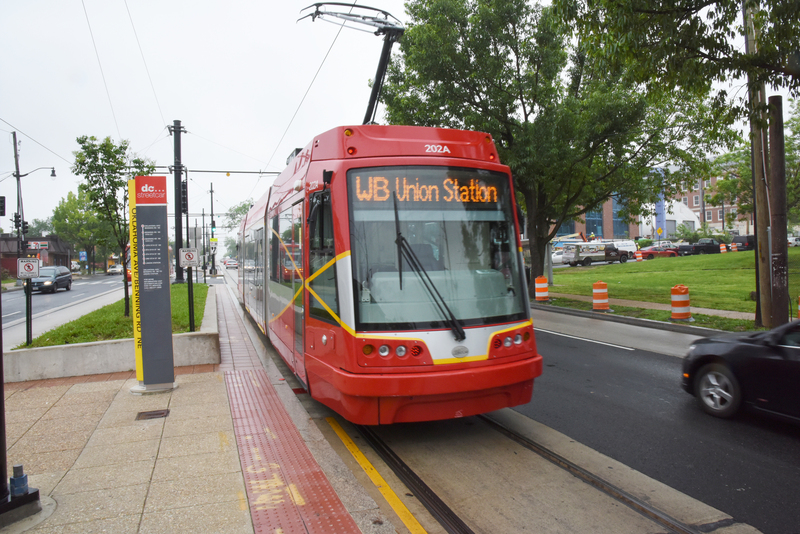 All drainage, stormwater management, and erosion and sediment control was designed in accordance with the District Department of the Environment and DC Water guidelines. 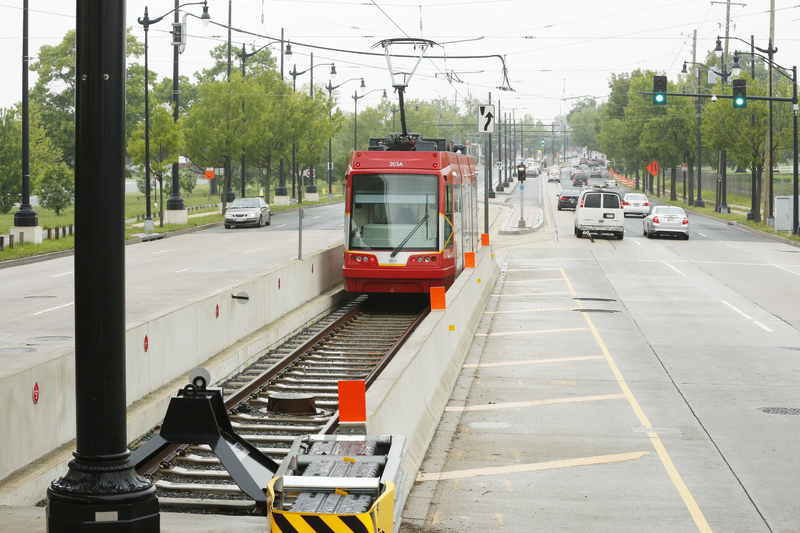 JMT designed relocations for DC Water facilities throughout the project corridor. Additional utility design work included the horizontal alignment design of a PEPCO-owned 13kv ductbank at the Spingarn High School site and the CBTC location. JMT’s subsurface utility engineers performed 20 test holes and 36,000 LF of designation in support of this design effort. 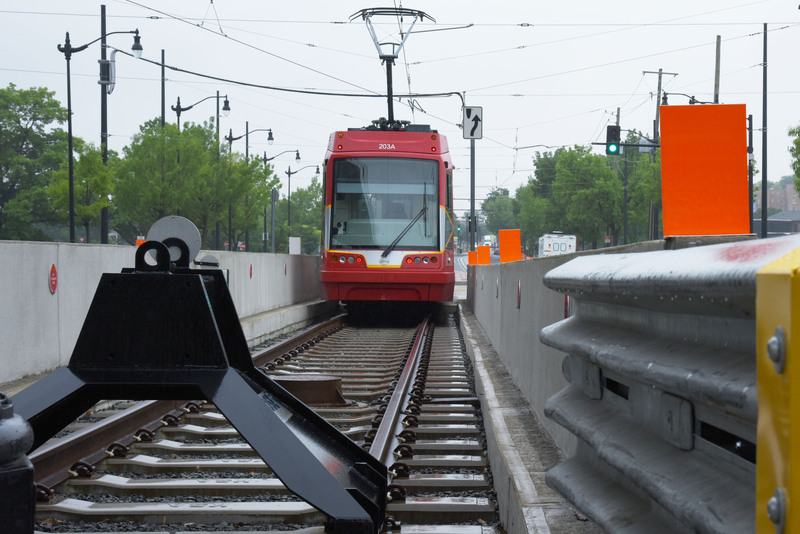 Additional services included the structural foundation design for three traction power substations and the CBTC maintenance pit. JMT was also responsible for the visual quality plan, which encompassed all aspects of landscape architecture throughout the project.